Historian and biographer Anka Muhlstein has a particular interest in the great monarchs such as Elizabeth I, Mary Stuart and Victoria. She is well-known as the author of Napoleon in Moscow; Waiter! One Hundred Oysters; and The Library of Marcel Proust. She lives in Paris. 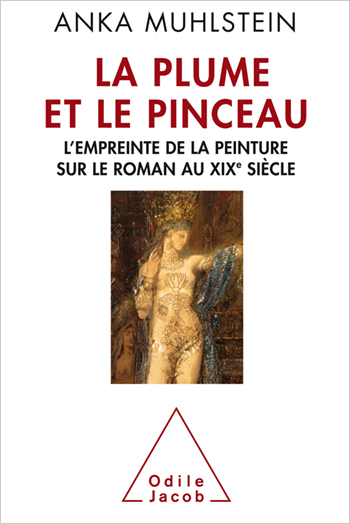 Stendhal, Balzac, Flaubert, the Goncourts, Zola, Anatole France, Huysmans, Maupassant, Mirbeau and finally Proust: they all attached great importance to the manner in which they observed and described paintings, and that drove them to create a proliferation of painted characters. This is essentially a French phenomenon. There is no equivalent in England, nor in Germany, nor in Russia. In the United States it was not until the end of the century that Henry James turned painting into a subject of literature. Why did this interest develop so early, and in so generalised a manner, in France? "To illustrate the astonishing transformation of the novel driven by a fascination for art, a wide choice of writers was available to me. I kept five of them — Balzac, Zola, Huysmans, Maupassant and Proust — first by personal preference but also because the chosen writers were the true inventors, each in their own way, of a quasi-pictorial style of writing." A.M.